Projects Abroad 20 Years On! 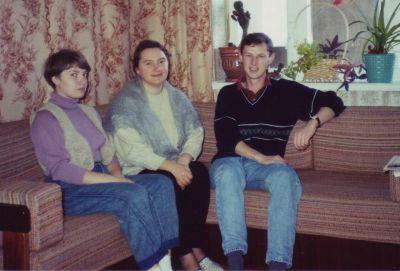 I had recently graduated when I saw a small advert in a magazine advertising “Teaching in Moldavia” in 1992. I was slightly intrigued. I didn’t know much about Moldavia but liked the idea of combining some travel and teaching overseas. In October 1992 a group of 15 of us set out from London Victoria coach station taking a bus to Budapest to be met by someone to take us on our onward journey to Chisinau, the capital of the recently formed country Moldova. I spent six months teaching in Ion Creanga Lycee which Projects Abroad still sends volunteers to today. It was an amazing experience living with a fantastic Russian speaking family and working with some very supportive colleagues. I am still in regular touch with 4 of the original 15 volunteers twenty years later. Will Pashley who team taught with me is now even running our recruitment office in Australia! Since then I have worked as a teacher, recruited for Projects Abroad, worked in a variety of overseas destinations and am now based in our Head Office in Goring by Sea. It is great to see the growth of Projects Abroad - now sending 8,000 volunteers away each year. It will be interesting to see where Projects Abroad is in another 20 years’ time!